French sensation Kylian Mbappé, was the first ever young player to receive the brand new Kopa Award during the Ballon d’Or gala last Monday. The world of football journalism is learning that they have to be more inclusive in order to evolve, they didn’t only give the first ever Ballon d’Or to the best female player of 2018 but they also gave the new Kopa Award to Kylian Mbappé. Created in the name of football legend Raymond Kopa, this prize is delivered to the best under 21 player in the world and the PSG forward was the obvious choice. 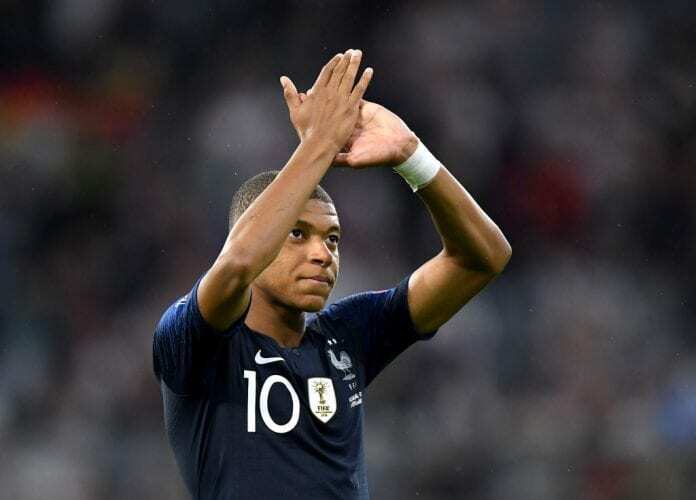 Kylian Mbappé had already started his career two years ago when he mesmerized the whole world after making his official debut for AS Monaco, two years later he is already a World Cup champion with France and one of the most expensive football players in history after PSG paid a staggering €180 million for his services. His already impressive numbers from the first year as a professional have done nothing but grow since he moved to the French giants, he has even eclipsed Neymar during his time there and has even managed to earn a better spot in this year’s Ballon d’Or selection. Mbappé already is the future of world football, the true heir to Cristiano Ronaldo and Lionel Messi. We would advise you to not confuse this new award with the Golden Boy prize, which is also delivered by the press but it was actually created by Italian newspaper Tuttosport. The France Football Kopa Award is brand new and Mbappé is the first-ever player to receive it, he was right there next to Luka Modric and Ada Hererberg taking all the pictures that confirm he is the best young player in the world right now. But Kylian Mbappé’s year is even more impressive by a few other factors, one being that he even beat Lionel Messi on the list of player voted by the press to be the best in the world this year. While Leo was ranked fifth with 280 points received, the French youngster was fourth with 347 votes in his name. Kylian was only 67 points behind the third place in the podium, which was his compatriot Antoine Griezmann and 131 points behind the second-placed Cristiano Ronaldo. Mbappé’s credit is huge given that he is still very young and his career is only getting started. With this position inside the list for the adult players, it was pretty obvious that Kylian Mbappé would be the first-ever Kopa Award winner as he stepped on stage to receive the huge honor. This young talent is the one who is leading the brand new generation of very talented footballers to the new era, but he is not the only one who is performing at an alarmingly high level as there are many other great players who have the skill to deliver results and trophies for their club or country. However, despite how impressive the new generations of talented players appear to be right now, Mbappé still seems like the very best star inside a whole constellation of truly amazing talents. We are all in awe with the potentially dominating career that he will have in the next decade, we are also eager to know if he will decide to remain at PSG for his whole career or if he will choose to make the jump to one of the biggest clubs in the world such as FC Barcelona or Real Madrid. We saw him cross paths with president Florentino Perez during the ceremony, maybe they spoke about the future, maybe not. How long do you think it will take Kylian Mbappé to win his first Ballon d’Or? Please share your opinion in the comment section down below.